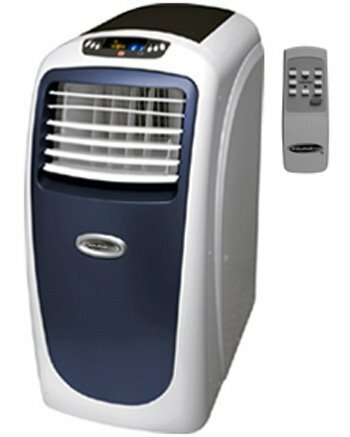 Compact yet powerful, our 7,000 BTU evaporative air conditioner efficiently and quietly cools and dehumidifies to make your environment more comfortable. Evaporative technology allows the unit to recycle the collected moisture so there is no water bucket to empty. A built-in 24 hour timer remembers your settings and will restart the unit even if power is interrupted.